The University of Edinburgh is the first European developer of ArchivesSpace, a next-generation web-based archives information management system, and LHSA is taking part in the adoption process. There have been a number of blogs detailing the more technical side of things, so I will focus more on introducing my role as Catalogue Conversion Assistant, putting LHSA catalogues into the new system. Paul: pictured in the LHSA stores. There's nothing like the official LHSA staff photo to let you know you've arrived! Naturally, LHSA has been involved in discussing how the Centre for Research Collections will use ArchivesSpace to highlight their collections, with Louise (LHSA Archivist) being a member of the project team. The move over to this new system is no small task with Phase One alone seeing the transfer into ArchivesSpace of 17,000 catalogue records and 22,000 authority terms describing archive collections across the CRC. Yet the enhanced service which this will provide for our users and staff will be worth all the hard work. I feel very humbled to now be playing a small role in the adoption process as Catalogue Conversion Assistant at LHSA. Over the next four months I will be converting existing LHSA finding aids from Microsoft Word format into ArchivesSpace with the aim of improving user access to our collections and better representing LHSA on the new system. The blog this week is from Ruth, with a shameless bit of advertising for two new posts we’re recruiting for! 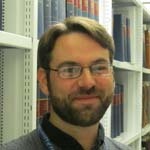 The first post is a Project Cataloguing Archivist – maternity cover for our Wellcome Trust funded project to catalogue Norman Dott’s case notes. There have been lots of really interesting blogs about this project from my colleagues over the past couple of years so I won’t go into too much detail here about what’s involved – check out the blog archive and our project pages on http://www.lhsa.lib.ed.ac.uk/projects/Cataloguingcasenotes.htm for more information. This post is fixed term for six months with the possibility of extension, and would be ideally suited to an archivist in the early stages of their career. The vacancy will go live on the job pages of Edinburgh University’s website (http://www.ed.ac.uk/schools-departments/human-resources/jobs) on Monday, and we’ll be updating Facebook and Twitter as soon the application process is open. Our second post will be open for applications from later on today (at the University URL above). We’re looking for an Access Officer to join the team, and work with us to answer enquiries about our collections and services, and help open up the Archive to new audiences. This is a part time post, which is likely to be a good fit with someone who is interested in pursuing an archives career and would like to work in the sector whilst completing a distance learning qualification. If either (or both) of these posts are of interest please have a look at the University job pages for the full details including job description, person specification, grading and timescale. And if these jobs aren’t for you, but you know someone who might be interested, please do pass the info along. We’re really pleased to be able to offer these exciting opportunities within the archive sector, and look forward to welcoming two new people to the team here at the Centre for Research Collections. Work is progressing well on the tuberculosis case notes cataloguing project so I thought at this stage it might be a good idea to learn a bit more about the man who started it all, Sir Robert William Philip. Born in 1857, Philip graduated from the University of Edinburgh with a degree in medicine in 1882. Further studies took him to Leipzig, Berlin and Vienna, where he took the opportunity to view the recently discovered tubercle bacillus. Prior to this discovery there had been much debate about whether tuberculosis may be hereditary. The discovery of the bacillus proved that it was an infectious disease, and Philip was quick to realise the implications of this discovery for treatment. Following his return to Edinburgh and the establishment of his medical career at the Royal Infirmary, Philip retained an interest in tuberculosis, hypothesizing that the various lesions caused by tuberculosis were symptoms of a systemic infection. Coupling this theory with his understanding of tuberculosis as an infectious disease, Philip began his life’s work of establishing a co-ordinated system of tuberculosis treatment in Edinburgh. 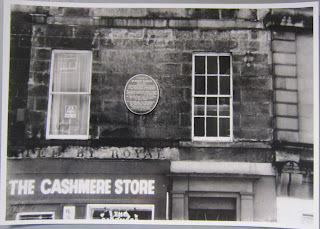 He opened the Royal Victoria Dispensary on Bank Street in 1887, which came to operate at the centre of a range of co-ordinated services in a system known as the Edinburgh Scheme. A large part of this scheme was identifying contacts of tuberculous patients and promoting good hygiene to prevent the spread of the disease. (For more information, see my earlier post.) The success of these institutions added credibility to Philip’s advocacy for a notification scheme, which influenced tuberculosis policy throughout the UK throughout the early twentieth century, particularly the national requirement for the notification of patients with tuberculosis and other infectious diseases. His work in Edinburgh also led to the bringing together of one of the first herds of tuberculosis-free cows, diminishing the spread of bovine tuberculosis to children. His influence was acknowledged in 1913, when he was awarded a knighthood. 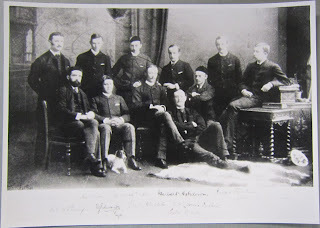 Royal Infirmary Summer Residents, 1883. Robert Philip is the first seated gentleman on the left-hand side. Philip’s career was not limited to his work at the Royal Victoria Hospital, which was handed over to the City of Edinburgh in 1914. In 1917 he was the first to take the Chair of Tuberculosis at the University of Edinburgh where he led a compulsory course of lectures for medical students, spreading his influence to the next generation of doctors. As well as his specialism in tuberculosis, Philip worked as a physician at the Royal Infirmary until 1921, where he taught clinical medicine. He served as president to many medical associations, and sat on the council of the International Union Against Tuberculosis. Sir Robert Philip died in 1939, leaving a permanent influence on the treatment of tuberculosis and preventative medicine through his advocacy for notification of tuberculosis patients and surveillance of their contacts. His influence was not limited to Edinburgh, or even the UK, but was felt far afield in countries such as the USA, where his insight was well-respected. 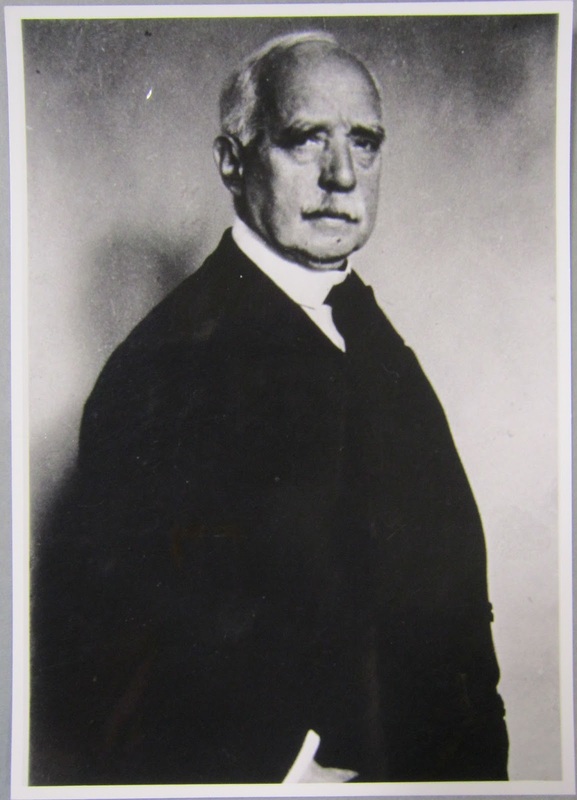 Even after the discovery of effective antibiotics led to a new cure for tuberculosis, Philip remained respected by physicians for the correctness of many of his theories and the effectiveness of his work. You may have seen our recent social media promotion of a very special event at the Royal College of Surgeons of Edinburgh on 21st October celebrating 150 years of the ground-breaking 1865 work, Report on the Sanitary Conditions of Edinburgh, by the city’s first Medical Officer of Health, Henry Duncan Littlejohn (1826 – 1914). Ruth (LHSA Manager) and I are going along to the symposium, not only because the content will be fascinating and deals directly with our work, but also because we’re raiding the LHSA stores to take along some items for the afternoon to bring the history of public health in our city alive. The symposium programme begins with a talk on the history of the development of public health in Edinburgh since Littlejohn’s 1865 report, followed by an account of the current health of the city delivered by NHS Lothian Director of Public Health, Professor Alison McCallum. The day finishes by discussing the legacy of Littlejohn’s work, and whether in 2165 (150 years from now), we will continue to capitalise on Littlejohn’s innovative legacy. Luckily for everyone, I’m not a doctor, so cannot help with the city’s current ills, and I definitely can’t see into the future, but I can help to shed light on the history of public health changes in Edinburgh through LHSA collections. We’re taking along items that span the period from Littlejohn’s time until the developments in healthcare with the coming of the NHS, including images of nurseries and the school medical service in the 1940s, a letter-book describing insanitary houses in Leith in the early twentieth century and mementoes and memories of Littlejohn as a lecturer at the University of Edinburgh Medical School (Littlejohn was appointed to the Chair of Medical Jurisprudence at the University in 1897). Henry Duncan Littlejohn was appointed Medical Officer of Health for the city in 1862, a post that he occupied until 1908. Born in Leith Street and educated at the University of Edinburgh Medical School (from which he graduated in 1847), Littlejohn was appointed as the city’s Police Surgeon in 1854. Littlejohn’s career developed as he lectured at the Royal College of Surgeons of Edinburgh and appeared in the judiciary courts as a crown medical examiner. However the November 1861 tragedy in the High Street in which a tenement collapsed killing 35 people brought Edinburgh’s appalling housing and sanitary conditions for the poor into sharp relief. The Town Council put the appointment of a Medical Officer of Health to the vote and, by the narrowest of margins (only one vote), Littlejohn and his department began to transform birth, life and death in our city. My favourite item from those I’ve chosen for the display is the Report on the Evolution and Development of Public Health in the City of Edinburgh from 1865 to 1919 (LHB16/2/1). Admittedly a bit of a mouthful, the report by John F Young details the progress in making Edinburgh a cleaner, happier and healthier city since Littlejohn’s 1865 report. Report on the Sanitary Conditions of Edinburgh was the result of painstaking work by Littlejohn and his sole clerk. It was based on data that they collected in 1863 on death rates, disease and housing conditions in 19 districts that Littlejohn defined in Edinburgh. The report also included recommendations on steps that could be taken to improve the poorest areas of the city, such as decreasing overcrowding, lowering the height of tenements, improving existing housing and creating space for more sanitary new houses and streets. The first pages of Young's report comparing the nineteenth century conditions for those with infectious diseases in Canongate Poorhouse to the green fields and (then!) modern facilities at the City Hospital, opened with Littlejohn's help in 1903 (LHB16/2/1). 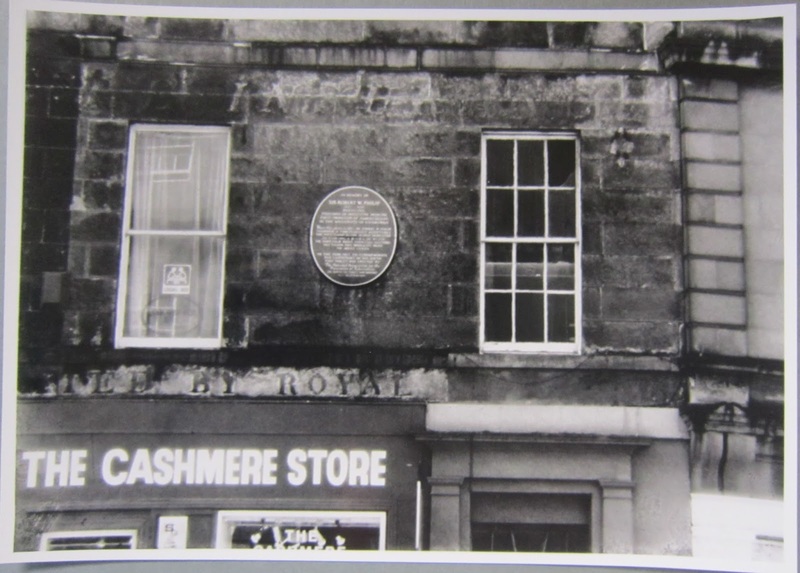 Young recounts the dire conditions described in Littlejohn’s 1863 research, such as a tenement called Middle Mealmarket without sink or WC yet housing 248 individuals, and that Edinburgh had 171 cow-byres located directly below human dwellings. He also traces the development of Edinburgh’s sanitary and living condition since Littlejohn’s appointment, particularly listing the legislation which came as a result of his work, such as the 1867 City Improvement Act (a slum clearance scheme), the 1889 Notification of Diseases Act (particularly important in being able to trace the impact of infectious diseases such as TB) and the City Act of 1891 which empowered authorities to removed healthy people from infected houses. Indoor and outdoor case for TB patients at the City Hospital (LHB16/2/1). Table showing deaths of children under five in Edinburgh by area, 1911 - 1915 (LHB16/2/1). LHSA does not hold a physical copy of Littlejohn’s Report on the Sanitary Conditions of Edinburgh (although you can read a digitised copy here), but we do have an impressive collection from the Public Health Department. The collection covers Medical Officer of Health reports, photographs, as well as documents covering the main roles of the Public Health Department in sanitation, prevention of disease, housing and child welfare. Its potential as a research resource is huge. In fact, it’s currently a major source for a University of Edinburgh contribution to a collaborative public health research project, using the collection to map the lives of those born in Lothian in 1936. There are still a few free tickets left for the 21st October Symposium on public health's history, present and future in Edinburgh, which you can sign up for here - so come and visit us to see some of LHSA's collections! Public health on the move: a motorised ambulance and a disinfecting van in early twentieth century Edinburgh (LHB16/2/1). In this week’s blog, Ruth reflects on a recent training event held by the Scottish Council on Archives (SCA) all about fire in the archive: preventing fire, and responding to it. The training wasn’t delivered in Welsh and Gaelic, as the blog title might suggest, but there were excellent speakers from Aberystwyth and Glasgow who talked about their experience of fire and how it impacted on their buildings, archive collections and services. They were joined by a representative from the local Scottish Fire and Rescue Service, and the day brought together a wealth of experience that those attending could draw and on and take back to their own organisations. The first speaker was Iwan Bryn James from the National Library of Wales, who talked about their 2013 fire. The presentations will be made available online – so look out on the SCA website if you want to find out more - but the main thing that I took from Iwan’s talk was the need to be fully prepared: have an up-to-date plan that sets out what you would do if your building and/or collection was affected by fire, and make sure you have all the materials and kit (especially protective equipment for staff) ready to go just in case. Because they were so well-prepared, staff at the Library were able to start co-ordinating their response while the fire service was still putting out the fire – not a moment was lost, which meant that they were able to save the vast majority of the collections that were affected by the fire. We have a robust and detailed disaster plan in place, and boxes of materials that we could use if we were ever faced with a similar situation, but Iwan’s talk gave me lots of food for thought and has resulted in a list of tweaks and minor additions that I’d like to make to our plan to make it better still! Susannah Waters then talked about the more recent fire at Glasgow School of Art. Like Iwan, Susannah described how the fire started, what damage had been done and what their response had been (and continues to be). Also like Iwan, preparation was key to their response, but Susannah also highlighted the need to think about how you would co-ordinate offers of volunteer help and how you utilise, and react to, social media. So a few more things for me to add to my list of disaster plan tweaks! The day finished off with Gavin Gray, an experienced firefighter, talking us through the legislation that governs fire safety and our responsibilities within it. It was extremely useful to hear from someone with a different perspective on the topic and his talk drove home the necessity for high quality, up-to-date information, that you can give the fire service on arrival, about your building’s layout and your priority collection items for salvage. I had thought that listening to others talk about threat and damage to their wonderful collections would make for a depressing day at best and cause me a sleepless night at worst – but that was far from the case! The willingness of fellow sector professionals to share their experiences so we could all learn from them was really inspiring, and much of what they talked about was all the positives that can come from these difficult situations – a surprisingly large percentage of collections affected by fire can be repaired, community spirit can be fostered, current and new audiences can be engaged and, ultimately, resilience and value can built in to the response in order to come out as a stronger archive service.